Whenever I check the teacher message boards that I am a part of, I always see many requests for ideas for culminating tasks for the various units that a teacher teaches throughout the year. This stems, I believe, from the backward design process where teachers begin to plan their new unit of study by first planning the culminating activity. However, if you follow this blog, you may have realized that I am moving away from the teacher-directed model of instruction and moving towards an inquiry approach where the students and teachers authentically develop the culminating task within some standard parameters. The problem, as I see it, is not in having a culminating task but in planning an event or task that limits a student’s creativity or expression in order to do what the teacher tells them. Placing restrictions on what students do to show you what they learned is where you are restricting student creativity. I know that there is a lot of anxiety as teachers when we don’t have complete and total control. I get it, I myself am a recovering control freak (ok maybe not so much recovering), but I have changed the aspects that I control within the classroom. At the end of the unit, if every student’s product looks the same then how creative and differentiated is that really. It is possible for students to design a variety ways to show their learning that respects their interests and individuality while all still meeting the same expectations. These little projects are called “show what you know” projects. With these we make a list of concepts that student need to know about these are generally derived from our learning throughout the unit. It is then the student’s responsibility to design a project that meets these criteria. How they present it is not as important as what they present. Many times as teachers are requesting help to find project ideas, they are also requesting fun and engaging activities for their students. Generally, as teachers, we are not interested in boring our students and making learning disengaging. However, we teach individuals, not robots and their interests are their own. If you want them engaged, let them choose the format. At first, many students will probably pick traditional presentation strategies. However, throughout the year as one or two students begin to push the traditional boundaries other students will start to take more risks in their style to pursue their own interests that reflect their skills. We have to remember that in our classrooms there are many students who have strengths in different areas and those that do not fit well in a traditional classroom will struggle with traditional tasks but can and will amaze you with their ability to show you what they know in alternate ways such as using Minecraft, designing a song or dance, or creating a website. Inquiry means that students are helping to lead and own learning. They are not leading their learning if where they are going and what they are doing is already mapped out. This does not mean that we don’t have to plan because we do. There will be certain concepts that are essential to building their knowledge and understanding that they can learn what it is that they are supposed to learn. However, these are general. If you have ever seen my units on TPT you will know that they generally follow the same format. Provocation/Wonderwall-> Big Idea / Questions -> Building Background Knowledge and Understanding Lessons-> Knowledge Building Circles -> Reflecting Activities -> General Research Project -> Open Ended Sharing of Knowledge. You will also notice that the pages are general enough that there are very few question and answer rote learning pages. Students are generating their own knowledge and reflecting on this. However, the focus and scope of these lessons allow a variety of different avenues and flexibility for the teacher so that each year your focus could be a little different. The shift relies on the teacher understanding that they are guiding the learning not giving the learning. there is a quote that is often used with inquiry that talks about the workload. The teacher should not be working harder than the students. In reality, this is true. If you are working so hard to plan every little detail then simply just giving the students work. This is not inquiry. Inquiry involves students and teachers working together. If you want an engaging activity for your students, ask them to tell you what they should do. Plan it together. Instead of taking hours and hours at home planning a lesson for students. Stop planning at home and plan with them during knowledge builiding circles. Even if that means that you pull out the curriculum document and list the things that they need to know about and asking questions about these things and then going from there. Let them help you plan it. Do it with them, and save yourself some time. complex level. This is why it takes me so much longer to create a complete unit and why I include teacher background notes for you so that you can understand the concepts that you teach. Are you ready for inquiry? Use this quick checklist to help you get started and plan ahead for inquiry. It’s in my free resource library along with many other tools that you can access free. Just sign up below. u want to connect with me about inquiry why not join me on facebook inside my teaching with inquiry facebook group. Join the conversation every Monday at 9 pm as we talk about all things inquiry and teaching. Well two weeks in and so far so good. I have a large class this year with 34 students. In a split 4/5 classroom with many special education needs there is no doubt that I will have some challenges to overcome this year. Don’t get me wrong 34 kids is going to be hard work there is no doubt about that. I know that I am only one person and that I will do the best I can. I am envious of those with classes of a more reasonable size but without much choice I will make the best of it. I just have to trust that my union will continue to negotiate for reduced class sizes. In the mean time, I am a professional and I will do the best with what I have. With a class this large I needed to find a way to fit them all into my classroom. I am fortunate that my classroom is slightly larger than the other rooms in my school but on the whole it is an average size classroom. In June when I was told the number of kids that would be in my class I went back to my scale drawing of my classroom to determine if I could even fit in 34 student desks in my room. I was not willing to give up my desk, guided reading table or carpet. However, there wasn’t room, they simply wouldn’t fit. Thankfully my administrator was supportive of using tables instead of desks. So I made the switch. Let me just say that two weeks in and I love my tables. There is so much more room available in the classroom. I think it even feels like more room in there compared to last year. Supply management is more complicated initially but with some simple routines it is manageable and in my opinion a lot easier than desks. Another thing I realize is that classroom management is very important. Managing 34 students is not easy especially when you need to get things done and quickly. Transition times are something to manage and reduce wasted time which is a feat with a large class. 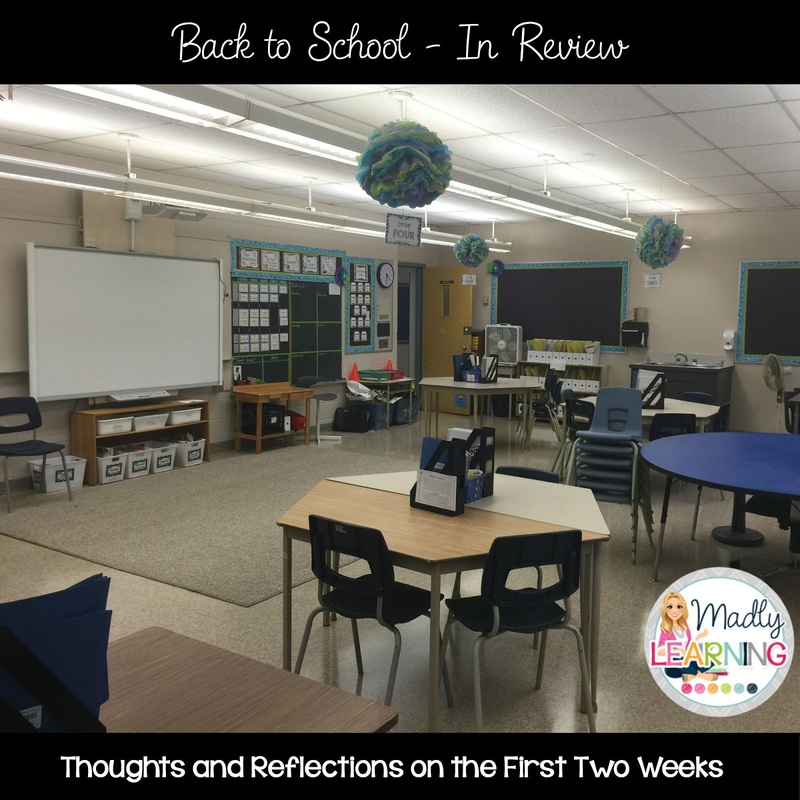 I did some preplanning prior to school starting about how I would manage this. This year I am continuing to use the whole brain teaching rules (with a modified rule 3) to help my students understand expected behaviour in the classroom. I have a class point system where the whole class works together to earn point against an evil villain named Count Snaggit. The kids really like this narrative and I find it is much more conducive to building a positive classroom culture than students against teacher. Although I do give points to Count Snaggit and remind students about the rules when students forget to follow them, I also believe in the importance of positive reinforcement. So many students are motivated simply by a genuine “You know what? I noticed that you were working really hard at getting your work done today. Thank you so much! I’m proud of you!” or after a student has needed multiple reminders about talking out and distracting peers pulling them aside and saying “you know I noticed that I had to give you a few reminders today about talking out. What can we do to help you be more successful let’s think of a strategy that will help you be more successful with this.” These are so easy to do and they make a tremendous difference. I like to think of the ratio of 2:1. For every negative interaction I have with a student I try to have two positives. Even if that means noticing that for 2 minutes they were able to do as you asked. Along with the whole brain teaching comes the concept of practicing. My first two weeks were full of practice. We practiced coming to the carpet, walking in the hallway, moving to our desk, working independently, working with a partner, etc. I explain what is expected and then I watch to see if they do what I have asked. If they do not then we do it again….and again….and again. My philosophy is that if they don’t do it the way I want them to then I was not clear enough in my instructions or I did not enforce this behaviour consistently. Assessment will be my biggest challenge. There is just so much to mark and assess. (I say this as I avoid marking 34 creative writing drafts right now) So with my dislike of paper I really want to go paperless but cannot find a grade book that allows me the flexibility that I require other than a spreadsheet on the computer which still isn’t as convenient as that dreaded paper. So I kept my ears out this week on the facebook teacher forums and I heard people talking about two products iDoceo and Sesame HQ. I have tried iDoceo and I know that some teachers swear by it. Our Phys.Ed teacher at school uses it and swears by it. Plus what she can do with it in the gym is amazing. I myself found it wasn’t as user friendly and quick to use as I needed it to be. So I tried Sesame HQ this week and so far I love it. I really like how I can access it and set stuff up on my computer but quickly use my idevice to mark student work quickly. No really it was quick. I set up a rubric and marked 34 open response paragraphs all during a 40 min prep. (for me that is unheard of….) So I will let you know how it goes from now on as I keep using it but so far so good. One thing that I notice the most when I watch others teach is this? What makes this teacher effective at instructing their students. Throughout my relatively short teaching career (8 years) I have been very lucky to be in the company of many great teachers. For a few years I was an itinerant teacher and in this position went into other’s classrooms and helped them modify and accommodate for their ELL students. If you ever have the opportunity to do this then you should jump at the opportunity especially early in your career. I was able to see a different teacher, in different grades doing amazing things, all day long. I think I learned something from each of these teachers about how to be a better teacher myself. What I learned was how to improve my instruction so that students could learn. Hosting student teachers, team teaching, and writing unit plans for TPT etc. also puts me in the position of having to explain my instructional strategies to another person. Which is not an easy task when sometimes I just do it my way. With some reflection, and discussions with my fantastic EA @tamihorning who often helped me to analyze what it is I do. I think that I have the three questions that help me to explain what effective instruction looks like. 1. Do you Really Differentiate? Differentiation can occur in three places of the teaching cycle. The Content, the Process and the Product Most of the time we differentiate what the student does. But what about differentiating you instruction, how you present the information to students. I have classes full lots of boys, often very active boys. What do I find. These boys are not auditory learners, they are doers, kinesthetic learners. While some are also visual learners. So when I teach I make sure important instructions involve all three sets of instructions. I write it down, I saw it out loud and I associate movement with them. The movement piece was the hardest part to get used to because sometimes you feel like a dancing fool up in front of your class acting out the instructions. But guess what, using this helps students immensely and during tests you will often see them relying on these movements to help them remember the steps. Or sometimes it is just that my movement help them to focus and remember. Crazy Professor: One strategy I use is called the crazy professor. Given a list such as procedural steps, or rules I have students look at the list and act it out. Everything is big and over the top with this strategy. There is lots of laughter and silliness but it is also very effective. I often use this when teaching students how to subtract with regrouping. Mirror: Giving instructions to students can sometimes be hit and miss. With this strategy from Whole Brain Teaching. I give instructions, and key concepts in this format. I hold up my hand and say Mirror Up. This signals the students to hold up both hands facing out. They then copy my actions and words as I say them. There is something about this strategy that just helps those multi step instructions or key concepts sink in. Question 2: Who is doing Most of the talking? In a traditional classroom usually the teacher does most of the talking. However I believe that students must spend more time engaged in their learning. Additionally students in the elementary level just don’t have the attention span. We are talking to students who are used to getting their information immediately. They really don’t want to listen to us talk at them for 60 minutes. However we also need to get our lesson across and guide students to learn new concepts. Changing your structure of teaching is important for this as is trusting that your students can learn. Mini Lessons: Keep your lessons short. I find this easier if I have a learning goal and stick with it. If you start your mini lesson with a narrow goal of what you are going to teach then you are better able to stick to a time frame and clearly express for your students what you want them to learn. It is so easy to get trapped in the I have to take every opportunity to teach everything. Let me assure you, you don’t. If you try to do too much then the power of your message is lost. I try to stick to 10-20 minutes of me talking at a time. However there are times where more direct instruction is necessary so how do you stick to the mini lesson format. I use some of these strategies. Small Group Tasks: While students are still learning a concept and are not yet ready for independence I feel that it is important for them to learn from each other and work together to practice a concept. Using ideas like a KWL chart, Graffiti Write, Card Sort, and a Quick Write are some of the few. Question 3: Do you believe that your students are capable? My complete 4/5 Unit is finished and ready to be downloaded on my TPT store. To celebrate the completion of my Canadian Physical Regions and Government unit I am giving away a copy of it to one lucky winner. Enter below to get if for free!! Contest is on for this weekend only!! 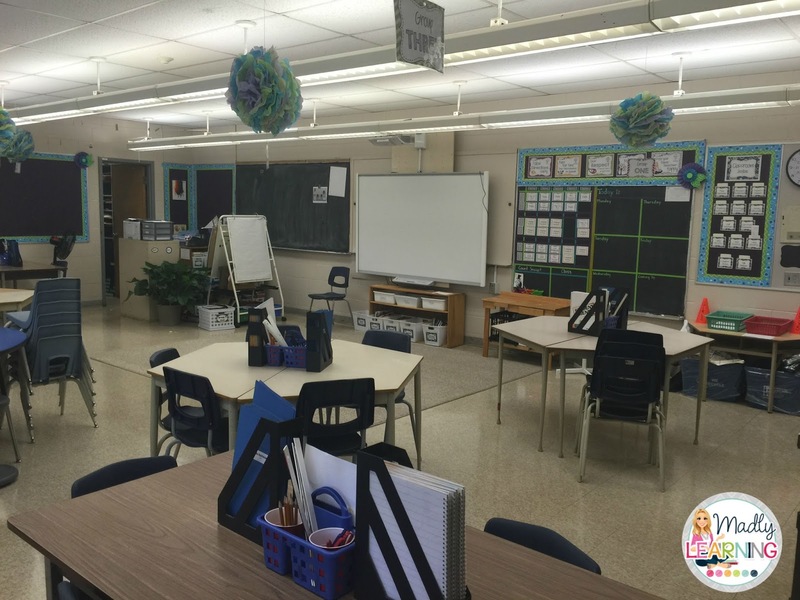 his is a unit that is designed for a split grade classroom for Grade 4 and 5 students. These activities align with the new revised curriculum. Much of the focus in the new curriculum is inquiry based teaching and learning. This unit will give students both the basic understanding and background needed for further inquiry as well as scaffolded inquiry activites. Although the focus in the new curriculum is on inquiry there is still a place for direct instruction. This unit is balanced between direct instruction and inquiry learning. Using a variety of lesson formats, teaching styles, and student activities the direct instruction component of this unit will help to give students the basis for understanding the complexities of their inquiry project. Lessons include shared/independent reading, student case study, discussions, task cards, game boards, video links, online links for flipped classrooms, and student reflections. Students are more engaged in learning if they buy into what they are learning about. Through an inquiry booklet that has components geared specifically for this unit but can also be used for other inquiry studies. Students begin to explore environmental issues in Canada. Students are guided to discover a topic of interest through an interest inventory. Then are given some suggestions that relate to their various interests. With the other corresponding pages the inquiry process is scaffolded to help you guide students through their inquiry. This unit also works well with these resources in my TPT store. Use the vocabulary from this unit with my Character Traits Literacy Series of Lessons. Or with my upcoming Character Traits Unit: Respect. All of this and more can be found on my TPT store. I believe that a welcoming environment is created when all students feel engaged, included and accepted. Traditional welcoming activities often include getting to know you activities and games, journal entries about summer experiences, games etc. Here are some suggestions for how to include ELLs in your 1st week. Interview Triads: Students in groups of three will interview each other. Two students interview and the third records. The class then shares what they learned about their new classmate. This works with ELL students when you have proficient speakers with the same first language as the ELL. Interview Through Pictures – The whole class in groups of two interviews each other by drawing about their interests. Each student draws a picture in response to a series of questions. For the ELL student they can be paired with a lead students who can modify the interview with the guide. I like…….. you like…….. With the help of a dual language dictionary the student can have some prompts for this activity. Self Portrait This activity can be great for ELL students as there is little language needed. All of your students can participate. Make sure that the expectations are modeled for your students as this will help the ELL understand the expectations. Provide the ELL with a picture dictionary to help them with ideas to include in their picture. Label the Classroom Treasure Hunt – Don’t label your classroom areas until after the students arrive. 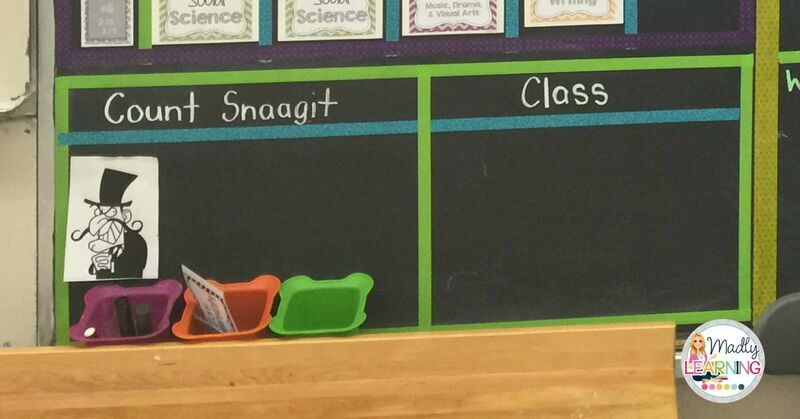 Pre-make your labels, or have the students make them, including pictures, and space for first languages if necessary. Provide students with a ‘treasure map’ with riddles that will help them to find the correct area to label in the classroom. This will also help them to learn where everything is in your room. You could even include the rules into the riddles. This will help the ELL learn the names of the different materials in the classroom as well as helping them to learn where everything is. It is especially important that pictures are included on these labels as this will help the ELL make connections between their first language and English. Summertime Journal – For this activity students can write a journal about their summertime experiences. Allow the ELL to write a journal in their first language. If the student is unable to write in their first language assist them by giving them some sentence frames to complete. I played… I ate….. I see….. etc. I will use some of these strategies as I finalize my plans for the beginning week of school. As teachers it is so important that we remember to plan activities that include instead of mistakenly exclude ELL students. How do you plan on including ELLs into your plans? How do you make your classroom a welcoming place? How do I ensure that I create a welcoming environment for ALL students.